Just as Maui offers some of Hawaii's best windsurfing spots, so it goes with windsurfing. Just as Maui offers some of Hawaii's best windsurfing spots, so it goes with windsurfing. 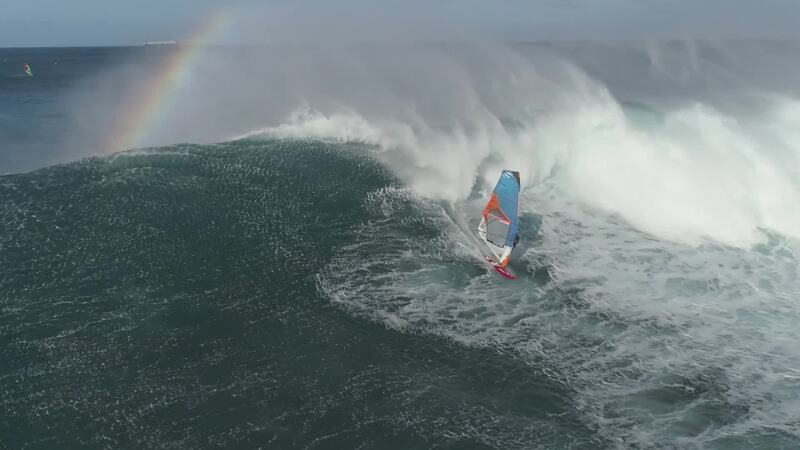 Contributor Aerialvideomaui created this epic drone video of some of the world's best windsurfers plying the windy waters of Maui. The footage was captured at a couple of legendary Maui Spots: Pe'ahi (aka the JAWS surf break) and Ho'okipa. Both of these spots are considered some of the finest (and most challenging) windsurfing areas in the world. Description: Where The Wind Blows is a collaboration of footage from 2018. Professional windsurfers surfing monster waves at Pe'ahi aka JAWS, performing aerial maneuvers at Ho'okipa on Maui, Hawaii and more. Enjoy the turquoise, blue green ocean and beautiful beaches and landscapes of Hawaii in this epic drone video shot on a DJI Phantom 4Pro.